The Veteran’s Affairs office at each TBR institution is anxious to assist veterans, reservists and their family members with applying for military benefits, managing deployments, and providing other administrative support for your enrollment in higher education. Many TBR institutions are on the Military Friendly® list and/or have received VETS Campus certification through the Tennessee Higher Education Commission. These designations are in recognition of the support and assistance each campus provides to veterans transitioning from military service to college enrollment. You can assist in the timely processing of your claim for VA benefits by following the steps outlined below. Depending upon your unique situation and the institution where you apply, some additional steps may be necessary. Individuals on each campus will be available to advise and assist you every step of the way! Processing time at the VA may take up to 90 days so apply early. The VA will back-pay benefits to the first day of classes. Visit the U.S. Department of Veterans Affairs, select “Apply for Benefits” and follow the instructions. Select a school and complete the online application. First-time applicants are required to pay a one-time, non-refundable application Remember to declare your major when completing the admissions application! Only courses that apply toward graduation in your major can be certified to the VA for payment purposes. Request that your official college, high school or GED transcripts be sent directly to the institution’s Admissions Office. Transcripts must be submitted from all postsecondary institutions attended regardless of whether VA benefits were received. Request that your Joint Services Transcript (JST), which translates your formal military education and experience into civilian language, be sent directly to the institution’s Admissions Office. The VA will send you a Certificate of Eligibility (COE) outlining your benefits. Submit a copy of your Certificate of Eligibility (COE) to the institution’s Financial Aid Office. Contact the VA should you have any questions regarding the Certificate of Eligibility. Applicants under the age of 21 and/or specific program requirements must request official scores (SAT, ACT or COMPASS) be sent directly to the Office of Admissions. Students who are enrolling in online classes ONLY are exempt from submitting immunization records for MMR and Chickenpox. Your school may require completion of an exemption request form. The form may also need to be updated and resubmitted each semester for which the exemption is being requested. The Tennessee Eligibility Verification for Entitlements Act (EVEA) (TCA 4-58-101 et seq.) requires state public institutions of higher education to verify that persons seeking a “state public benefit” such as in-state tuition are either a “United States citizen” or “lawfully present” in the United States. The Act does not affect admissions, but rather it affects they fees you pay to attend school. Please visit this page for more information. Documents that you may submit to verify U.S. citizenship include: valid driver’s license, an official birth certificate, valid, unexpired U.S. passport, certificate of citizenship or naturalization, etc. The institution where you applied for admission will notify you regarding your acceptance. Upon acceptance, they will inform you about NEXT STEPS. Contact the Veterans Affairs Office or other designated school officials to begin the process of utilizing your educational benefits. APSU has received VETS Campus certification from the Tennessee Higher Education Commission. ETSU has been designated as a Military Friendly® school and has received VETS Campus certification from the Tennessee Higher Education Commission. MTSU has been designated as a Military Friendly® school and has received VETS Campus certification from the Tennessee Higher Education Commission. TSU has received VETS Campus certification from the Tennessee Higher Education Commission. TTU has been designated as a Military Friendly® school and has received VETS Campus certification from the Tennessee Higher Education Commission. UofM has been designated as a Military Friendly® school and has received VETS Campus certification from the Tennessee Higher Education Commission. Chattanooga State has received VETS Campus certification from the Tennessee Higher Education Commission. Cleveland State has received VETS Campus certification from the Tennessee Higher Education Commission. Columbia State has received VETS Campus certification from the Tennessee Higher Education Commission. Jackson State has been designated as a Military Friendly® school. 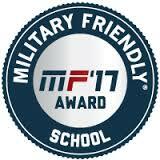 Motlow State has been designated as a Military Friendly® school. Northeast State has been designated as a Military Friendly® school and has received VETS Campus certification from the Tennessee Higher Education Commission. Pellissippi State has received VETS Campus certification from the Tennessee Higher Education Commission. Southwest Tennessee has been designated as a Military Friendly® school. Volunteer State has received VETS Campus certification from the Tennessee Higher Education Commission. Walters State has received VETS Campus certification from the Tennessee Higher Education Commission. The Crump TCAT has been designated as a Military Friendly® school. The Dickson TCAT has been designated as a Military Friendly® school. The Jacksboro TCAT has been designated as a Military Friendly® school. The Pulaski TCAT has been designated as a Military Friendly® school. Department of Veteran Affairs – Provides answers to over 400 frequently asked questions.